Character - Leader - Scoundrel. Points: 8/11. Health: 8. 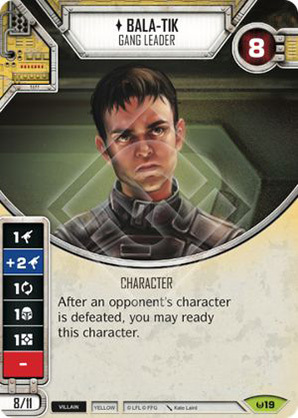 After an opponent's character is defeated, you may ready this character.